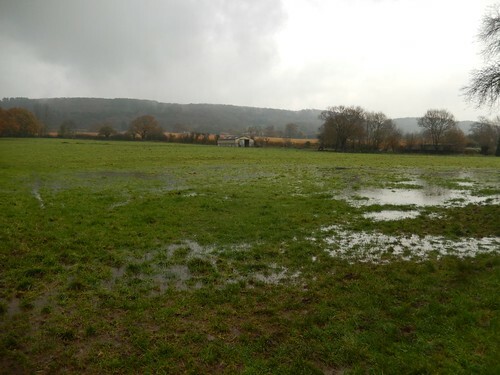 Ahead of all this, I had every intention of heading out for a longer walk on this day (minus the wellies) and possibly around the Chew Valley area… Local news reports of flooded villages and burst riverbanks washed away all remaining thoughts of going that far afield. 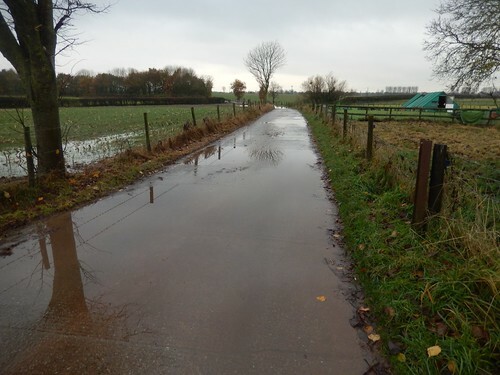 As it would happen, the roads were all passable by now, if not devoid of all surface water. One day earlier, the police had been forced to close Broad Street towards Station Road, while Silver Street to Havyatt Road – which seems to flood at least once a year – remained ‘open’, even where other people’s photos suggest the water was well above the level of the pavement. 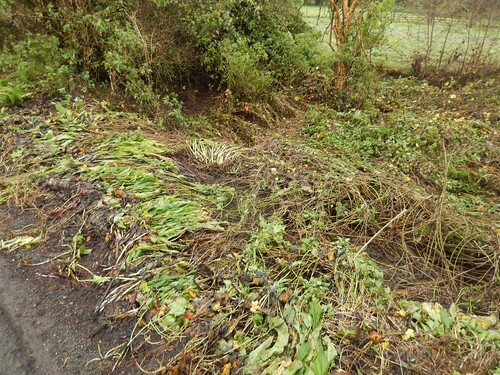 Close to the Butcombe Brewery on Havyatt Road, there were signs that the flood had attempted to wash away the vegetation from the side of the road. 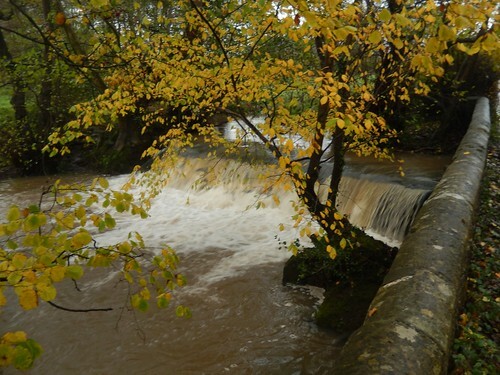 This is Tumbling Weir, from which water will almost always fall. 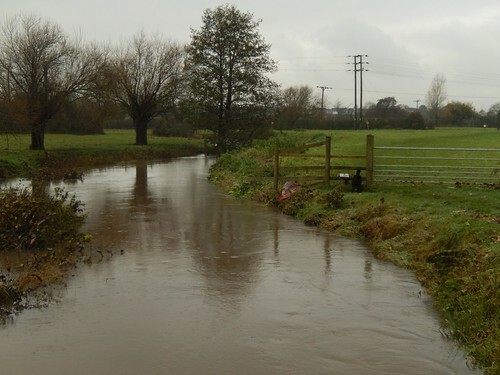 On this day, it carried a thunder-like roar and was quite the spectacle to observe, as a tributary to the Congresbury Yeo river. Presumably, it might have burst its banks a day earlier. Perhaps the water level was so high that there was nowhere for it to fall. From there, I followed the popular bridleway past Stepstones Farm and on a return route to Broad Street. Instead of heading home, I took to the local fields along the 2 Rivers Way long-distance footpath. 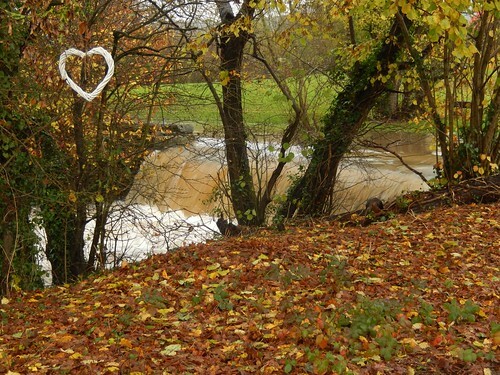 At the western end would be the village of Congresbury – where, I also read, the River Yeo burst its banks… Very close to an area where new housing is to be developed. 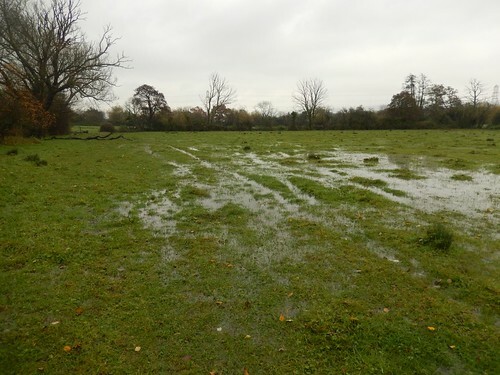 As expected, there was some surface water in the first few fields, with the situation growing more severe on the approach to Iwood Manor. 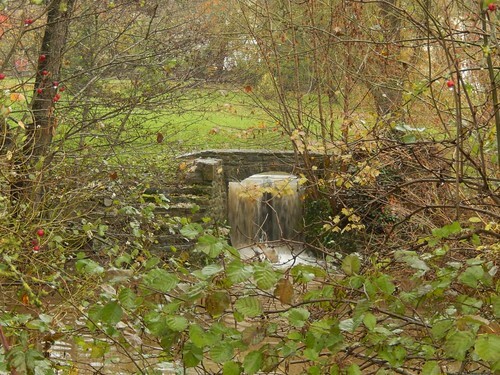 This estate houses its own private weir. Most times I’ve passed by, you can barely see it hear it flowing. This section of the 2 Rivers Way would can be ‘boggy’ at the best of times. Cows frequently leave the field in a rutted and uncomfortable state, close to the riverside. In winter and spring, each hoof-shaped depression fills with water (possibly silage, as well). But here I was, wearing wellington boots and still almost getting my feet wet. By now, a black and white collie dog had sprung from apparently nowhere to join me for the duration of this wet walk… We crossed over Iwood Lane to continue a little closer to Congresbury and following the River Yeo further. More puddles although, the terrain here is much easier to walk across, even when wet. 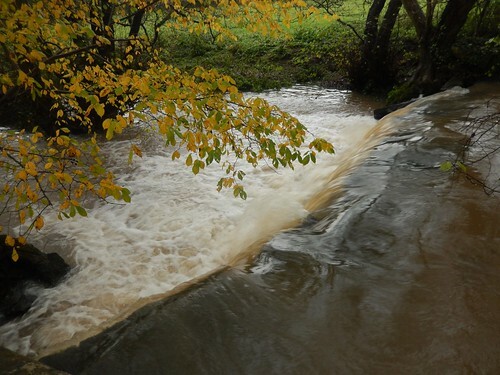 There’s a flow-measurement station at Iwood that must’ve been working overtime (not that I’ve any idea how it might function), as another weir acting more like the rapids on a kayaking course. I followed Iwood Lane back up towards West Hay Road – by which time, I’d passed a farmyard where the canine was happy to head off alone (presumably, it live there or very nearby). I’ve no idea how many homes were affected by this in Wrington, where damage was done in Chew Stoke, while cars in parts of South Bristol were also submerged, due to blocked drains. Leaves? 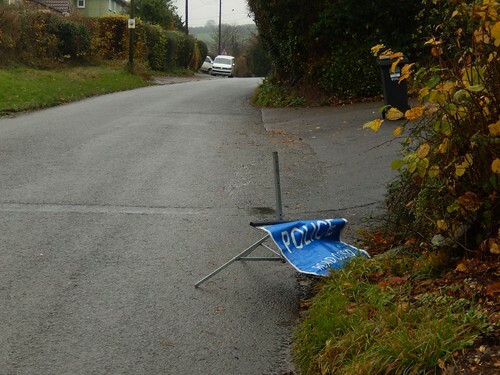 Litter? 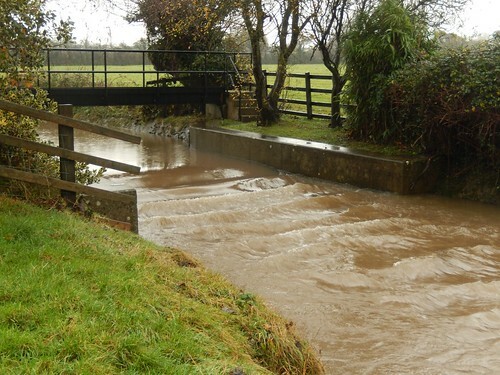 I have read that the Environment Agency are making an effort to install a form of ‘flood relief‘ from the River Yeo through Wrington – however, work has come to a halt after they discovered a nesting of protected dormice.